Prompted by the case of a particular building, a few questions on heritage assets in general, the planning process, ‘Localism’, engagement, and how often it ends up being too little, too late. I took the photo above three years ago, in summer 2012. I went along to look at Clementhorpe Maltings after becoming aware of its existence in, I think, 2011. At the time it was on a ‘heritage at risk’ list (as was another building on Lawrence Street I was interested in). From the outside there wasn’t much to see. 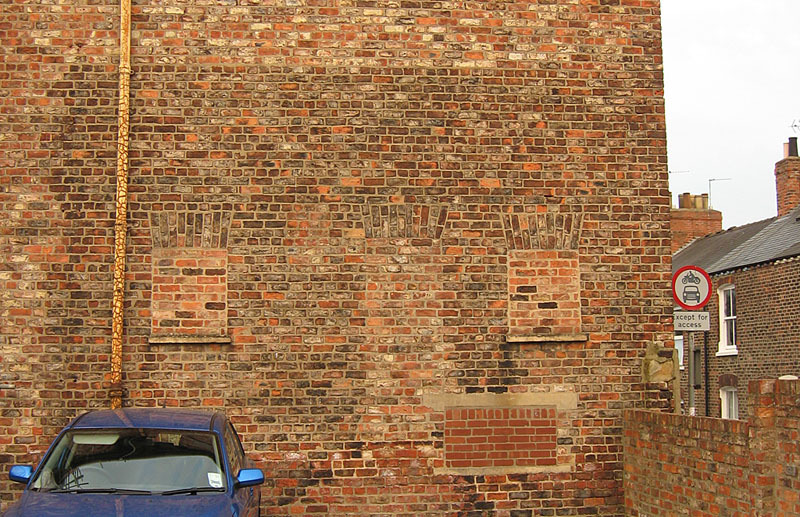 Though it clearly had an interesting history, and perhaps its altered and bricked-up windows were a quiet record of this, in their own way, even though I couldn’t get inside. I didn’t particularly want to get inside. I knew the building was a listed building, I assumed it would be taken care of in some way, I didn’t worry about it or follow up on it. Other buildings, more obviously under threat, interested me more. But recently, the building has been the focus of much attention. All too late, it would seem, to save it as a publicly accessible heritage asset. I’ve seen this before. And I wonder why it keeps happening. It’s rather sickening. Or at the very least, frustrating. So, what do I know, what do you know, and how can we join that all up to make a coherent picture and try to do better next time? I thought I’d gather together a timeline of info, what I know of and could find in the public record available online regarding the Clementhorpe Maltings, from recent years. It wasn’t quite as ‘unknown’ as recent coverage has suggested. The GeniUS! project took as its first focus of interest assets held by City of York Council and what to do with them. Specifically, in this case, Clementhorpe Maltings. Having become aware of the building I was interested to read the information about it on their pages. 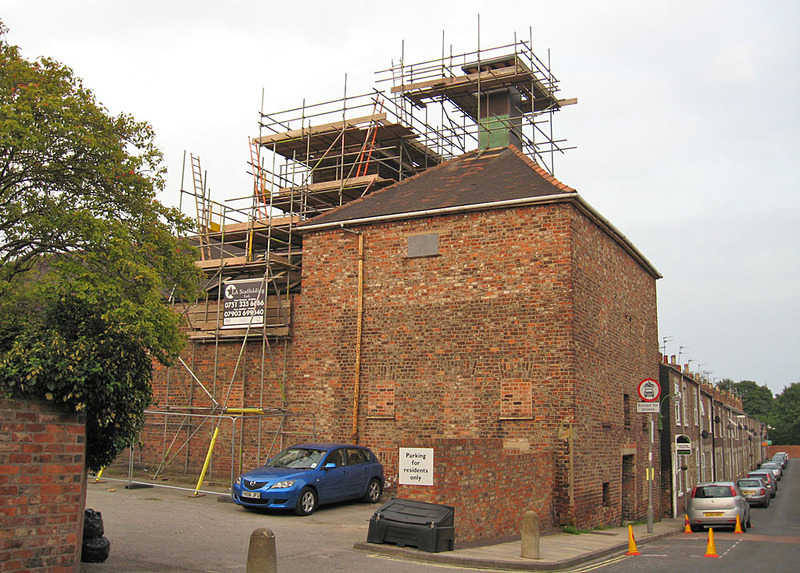 (Clementhorpe Maltings – the inside story – 8 Feb 2012.) I didn’t join the community as I couldn’t work out how it worked, and I had enough to do here on my own site. The point is, a project had been set up to involve local people in engaging with local issues and it highlighted the case of this building more than three years ago, asking for ideas on its reuse. Yet local residents have said, recently, that they were unaware of the building’s significance and have never been consulted. Genius! was well-funded, and later won a lot of awards and praise. The people involved seem to have taken its message off around the world. Yet the message seems not to have reached the people living directly around the building or in the local area? What went wrong there? Moving on two years, both the Press and Minster FM reported that the council was considering selling some of its assets, including the maltings building (7 Jan 2014). The sale of the building seems to have been approved then: Sale decision, City of York Council documents (7 Jan 2014). Looking back on my own pages here on this site, I’m reminded that this must have been the meeting at which the Airspeed/Reynard’s building on Piccadilly was also discussed, and personally I was focused on that, as unlike the maltings building it isn’t listed so has no protection. Because the maltings was a) listed and b) in an area where people seem knowledgable and pro-active about community issues and assets I always assumed that if it was important it would be preserved. And in some way it will be preserved, apparently, just bits of it, in the middle of a residential development. The planning application (15/00114/FUL) was submitted in Jan 2015 and validated on 13 Feb 2015, available online and open for objection/comment. This plan for residential redevelopment was featured in The Press on 27 Jan 2015, and I included mention of the application and links to it here on this site: Friday noticeboard: planning applications. Looking at the list available it appears that the application gathered only around three objections in the first three and a half months it was online. What went wrong there? Then there was a public viewing (27 May), which I didn’t hear about in advance but have seen the photos since. (See further information, at the end of this piece.) Apparently as a direct result of this the Press reported that residents had set up a campaign to preserve the building as a publicly accessible heritage asset, which appears to have been prompted by the open evening and the public viewing. An opening up which appears to have happened very late in the process and just before the council committee met to decide the application. A sudden flurry of objections was registered once the public had seen the interior of the building. According to the council’s online system there were about 27 objections in the period from 29 May (just after the public viewing) until 11 June (date of the decision meeting). Contrast that with the three or so comments lodged in the three and half months previous to that. Something went a bit wrong there then, didn’t it. Suddenly the local community showed proper ‘engagement’ with their local heritage asset, and presumably would have done so before if they’d been able to see inside the place a little earlier and if the planning system was easier to engage with. Why was the viewing left until so late? Was it a case of ‘we might as well let them see it, they can’t do much about it now anyway’? ‘It seems like it was a done deal‘ – says one of the comments on the decision, on the page of the Clementhorpe group on Facebook. A lot of planning application decisions look like that to the outside observer. I know that many have looked like that to me over the years. Particularly ones where City of York Council assets are concerned. Or ones formerly in their care. It’s presumably a lot more complicated than that, and so I do feel a need to stress that is how it appears, to many of us, looking on. So even if that’s just an impression, and an incorrect one, it needs tackling and addressing, in this age of ‘Localism’ and ‘transparency’ and ‘engagement’ and ‘rewiring’. … are all words I try to keep off these pages of mine, the kinds of buzzwords used in local government documents. I’ve read a lot about all of them, and perhaps we can at some point delve into them further, but for now I just want to say that there’s a bit of a failing here, it seems, on all those things, in the case of Clementhorpe Maltings? Under the ‘Localism agenda’, if there had been more time and things had been handled differently, could we have seen a better outcome? Wouldn’t it have been better to have opened this up earlier to public viewing? If there really is a commitment to transparency, engagement, rewiring, getting us to look after more in our local areas? The campaigners could perhaps have raised enough money to keep that building, to use it for something of benefit to the whole community. Actually, they probably could, I reckon. That’s how it appears to me. I may be completely wrong and have missed some points, but there’s a comment form under this article if readers have information/clarification/further details. City of York Council spent years sitting on yet another locked-up and hidden heritage asset which was essentially ‘ours’ – if the council own it, we own it, as the council represents us. They/it (the council) sell it to a developer because a series of decisions have been made on our behalf that concluded that this would be the best course of action. It’s familiar to me, but I didn’t think it would still be happening, this kind of thing, in 2015. It reminds me of what happened to the former RCAF hostel buildings behind the art gallery. The letters of objection to 15/00114/FUL may no longer be available to view as the council’s planning department has an annoying system of removing them all as soon as applications are decided. I’ve got screenshots of the list of documents and objections should anyone want them for reference in the future. If there’s a particular document you’re interested in I suggest you download the PDF to keep a copy, don’t rely on the online system. It has taken me several hours, this Sunday afternoon, to put this page together. I used to do this kind of thing a lot, but haven’t done it so much recently because this site, at present, has no financial support from paying subscribers, while its hosting costs have increased as a result of the growing collection of hundreds of pages and thousands of images gathered here. I would like to keep its information online, freely available to all, but that won’t be possible without more support from the community it’s intended for. If you would like to support this independent local resource, please consider a supporting subscription. Thank you. 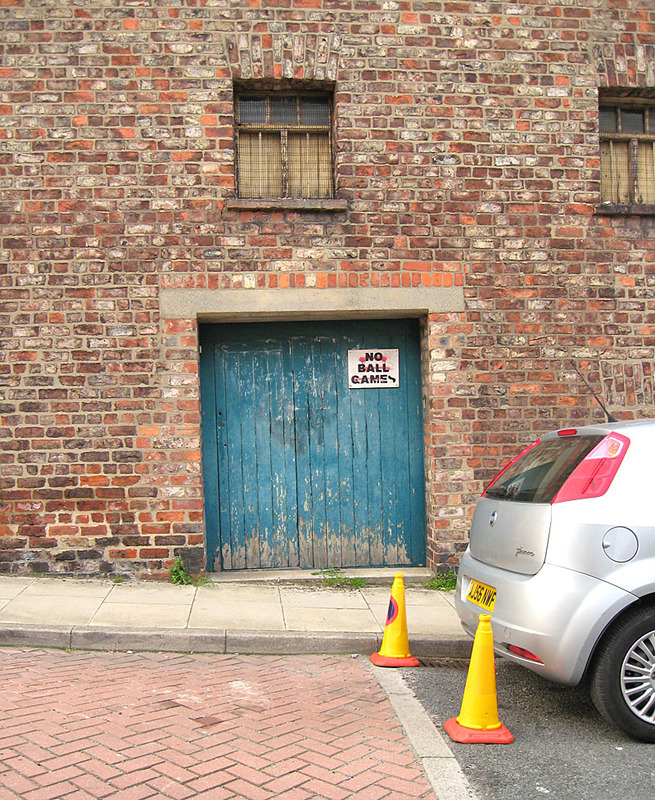 By Lisa @YorkStories • 14 June 2015 Buildings To link to this page's proper location please use the > permalink. Excellent article Lisa, absolutely the right questions. GeniUS York was/is, in theory, a very interesting project and one that had/has a lot of promise in terms of unlocking creativity, innovation and resident centred decision making. However, I speak from experience when I say that few people in positions of influence in the Council took/takes it seriously. At least that was my impression. There are some very creative and interesting people who work for the Council but there is no significant internal mechanism for unlocking that creativity, and importantly, acting. The Maltings is a missed opportunity for sure, the Guildhall complex and Castle Piccadilly (now re-branded the Southern Gateway) are still available – just. Residents were involved in the early stages of the Guildhall through an architectural competition. Reynard’s Garage and all the other quirky buildings on Piccadilly should also form part of a ‘conversation’ with residents. The question, “what is it we really want?’ springs to mind. More questions for you. Will the new political leadership step up to the mark? Will the hiatus created through the search for a new Chief Executive hinder progress? Will the York Civic Trust through its new Chief Executive push for a new agenda? How will ‘Make it York’ make a difference? I agree with the last comment an excellent article. The Malt House is a sad loss for the community. I certainly do not blame the developers in this. They have tried to do a good job of converting this empty building. However this really could have been something special. It would have taken a huge effort and lots of time and money but I am confident that a wonderful community building would have emerged. I think that City of York Council decided for the community that “they would not be interested.” Well they were when they saw inside. If only there had been more information and an opportunity to be involved earlier. A For Sale sign on the building would have altered the whole story. Why didn’t that happen? Another lost opportunity. The community needs to be prepared itself. This must not happen again. However the Asset of Community Value meeting for the Malt House is on Monday 29th June at 5.30 at West Office. However everybody feels that it is another done deal. The die is cast. Let us see. I think that we need to be more prepared in the future. I propose that we should develop our own “Micklegate Neighbourhood Plan.” We cannot let things like this happen again. Local people need to know what assets there are in their neighbourhood. They need to say what they see as their priorities for the future. To look at where a new school might be. What type of housing should be built and where. Look at improving the environment. Rather than reacting to events too late we need to start thinking about what we see for the future of our community. A neighbourhood plan I feel sure is our best way forward.